Fetch the Folly, there’s magic and mayhem in the air. A favourite with our readers and booksellers alike, the seventh novel in the Rivers of London series is a riot of mystery and invention. To save his beloved city Peter’s going to need help from his former best friend and colleague–Lesley May–who brutally betrayed him and everything he thought she believed in. And, far worse, he might even have to come to terms with the malevolent supernatural killer and agent of chaos known as Mr Punch…. 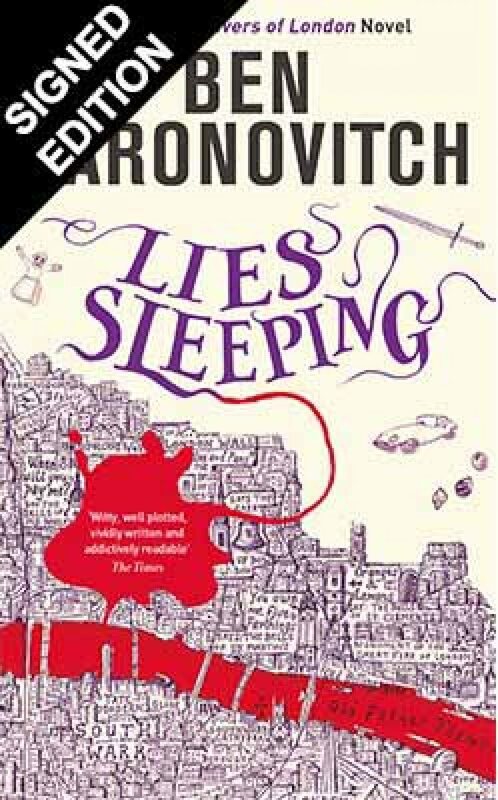 A former Waterstones’ bookseller, Ben Aaronovitch cut his teeth writing for television including Doctor Who before turning to the inspiration of crime fiction to fashion Rivers of London. Storming the bestseller lists the novel and it’s subsequent sequels delve into the murky underbelly of London as seen through the eyes of magician-detective Peter Grant, throwing in just a dash of magic for good measure. The Rivers of London series in order: Rivers of London, Moon Over Soho, Whispers Under Ground, Broken Homes, Foxglove Summer, The Hanging Tree and The Furthest Station. Note: American fan here, who thought it worth the money to support Waterstones, get an autographed copy, and the bonus short story.